Over its 50 wonderful years, the Jumbo’s crazy and not so crazy ideas have turned heads and sparked imaginations. 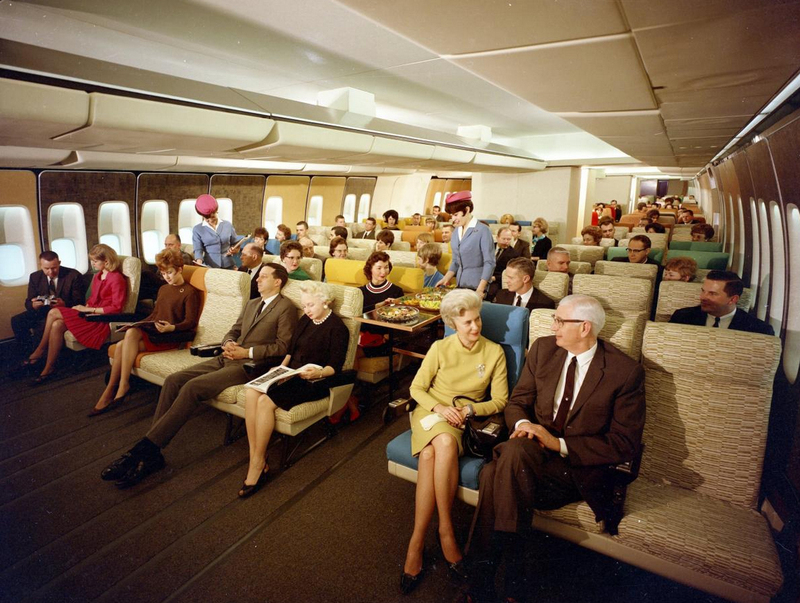 Even before it rolled out in September 1968 airline interior designers were scratching their heads on how to use the enormous space that the 747 provided. For this giant was more twice the size of the Boeing 707 it would replace. 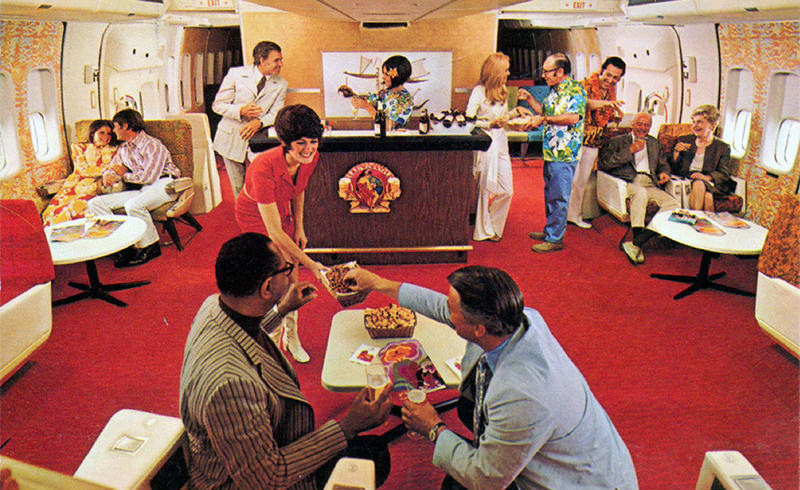 Lounges, piano bars, cocktail bars, and downstairs galleys were all introduced. American Airlines kicked things off with this bar situated at the back of the economy section. 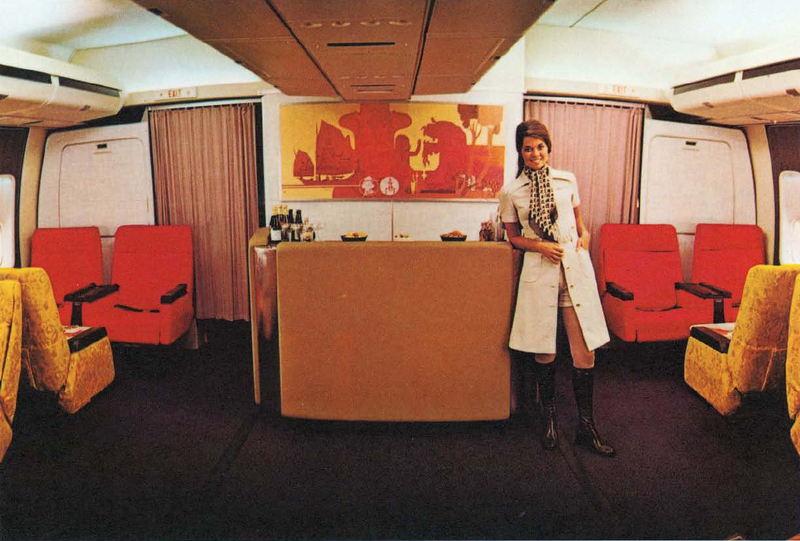 Continental Airlines, now part of United, also had an economy lounge (below). 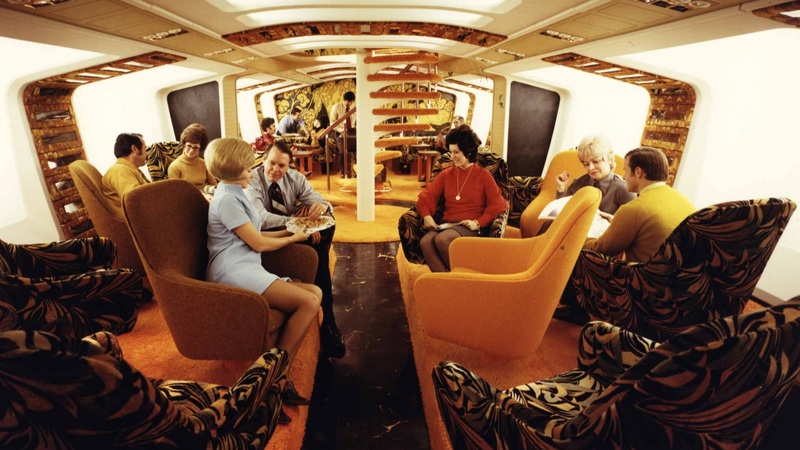 And not to be left out Trans World Airlines also had an economy (coach) lounge (below). 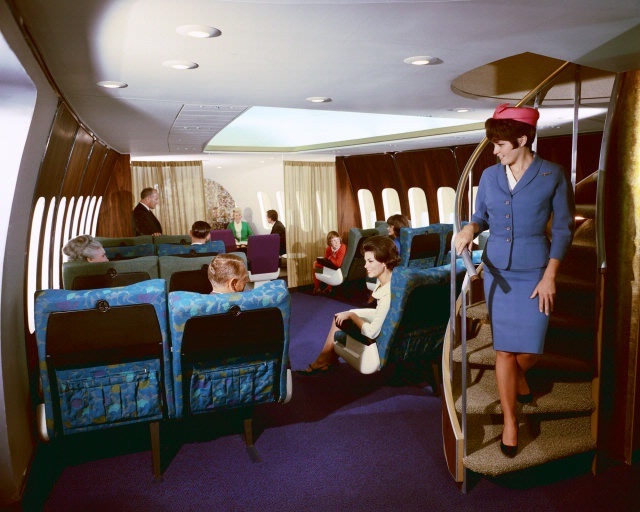 Qantas used the upper deck as its First Class Captain Cook lounge us under. To get to the upper deck there was a spiral staircase. 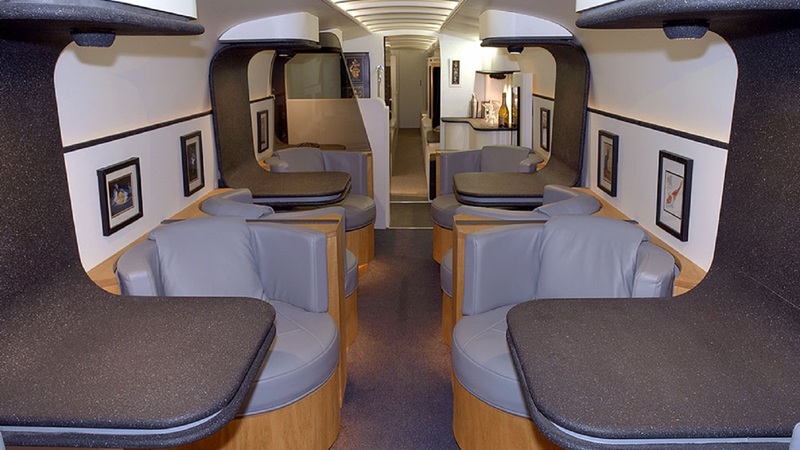 In economy, passengers luxuriated in a 2-4-3 interior with seats set 36 inches apart – this really was the spacious age. 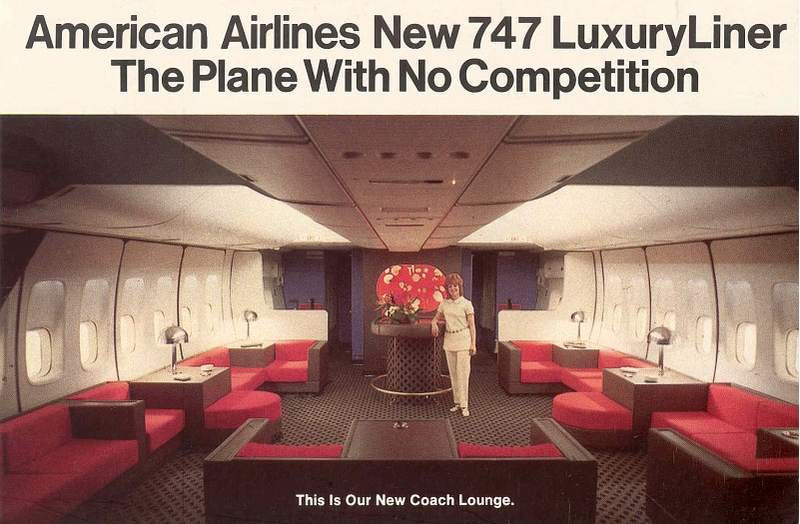 While all those concepts made it onto the 747 – at least for a while there are many that did not and were too off the wall for airline executives. 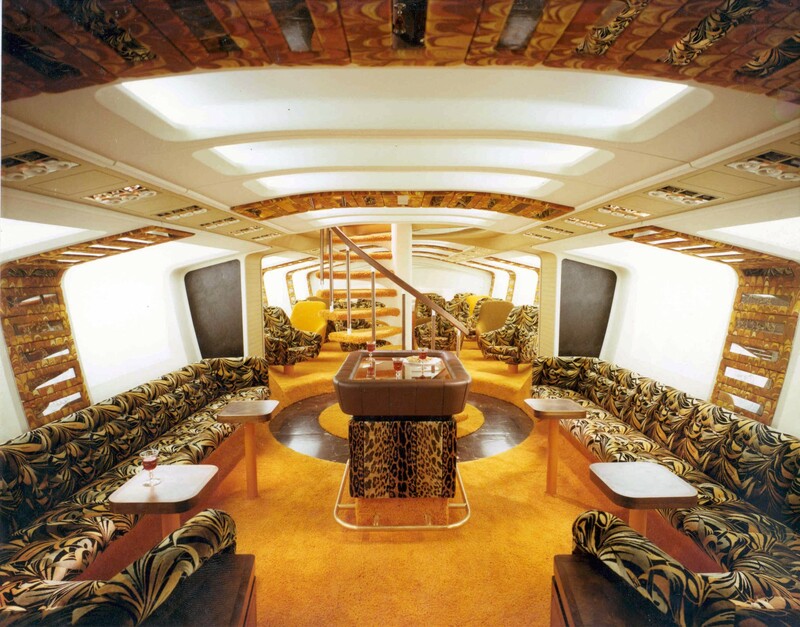 The 747 downstairs Tiger Lounge made for great photos – but was never taken up. 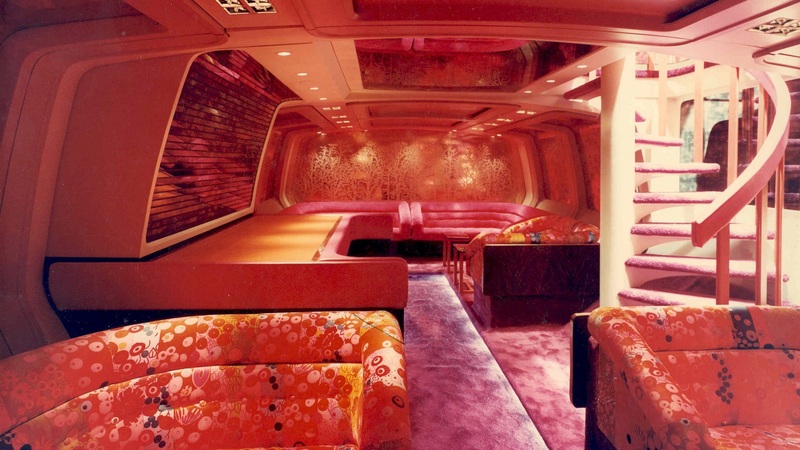 Not content with one try, Boeing rolled out the downstairs “Austin Powers Lounge” under the floor some 20 years before Austin Powers was made famous by Mike Myers in 1997. Boeing also looked at putting windows in the roof of its 747-8I series in an effort to make it more appealing. Boeing proposed windows in the roof of its 747-8. 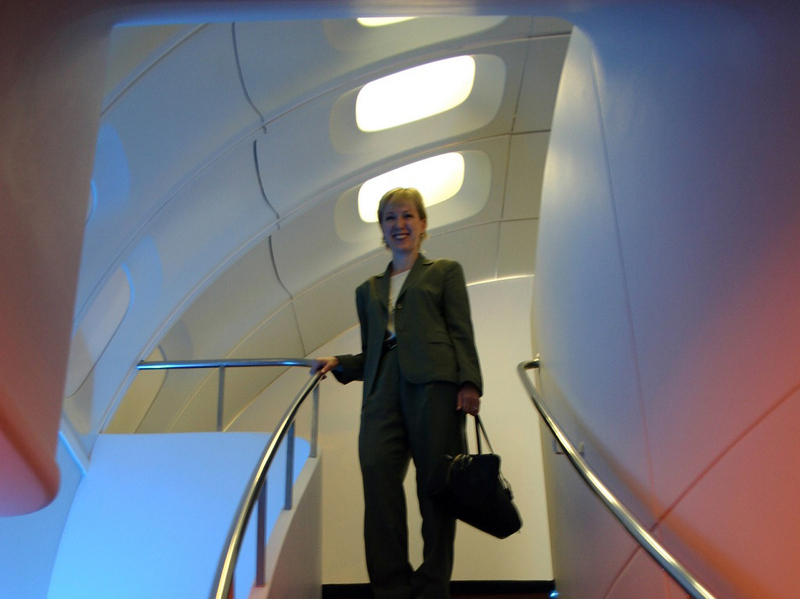 Also, a business class club made it into the roof of the 747-8I as well as sleeping cabins – but only in mock-up form. 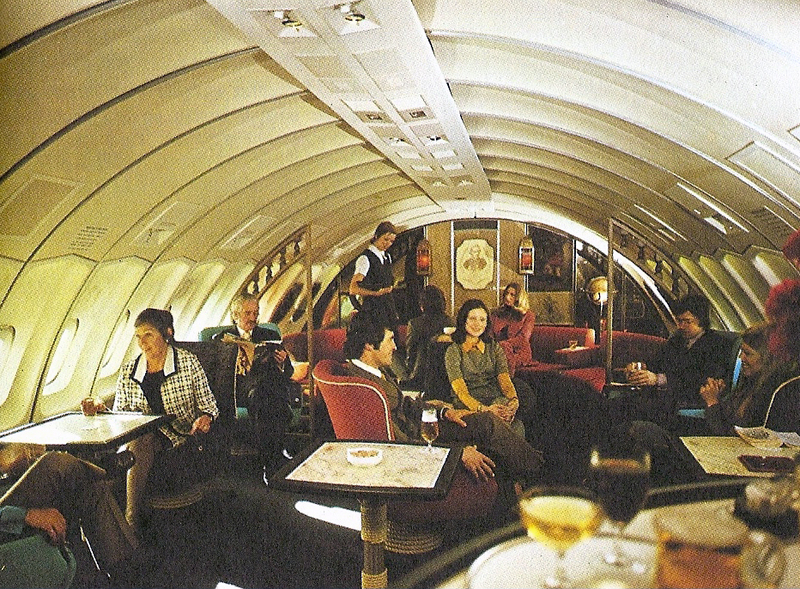 Business Class Lounge in the roof of the 747 – but only in mockup form.